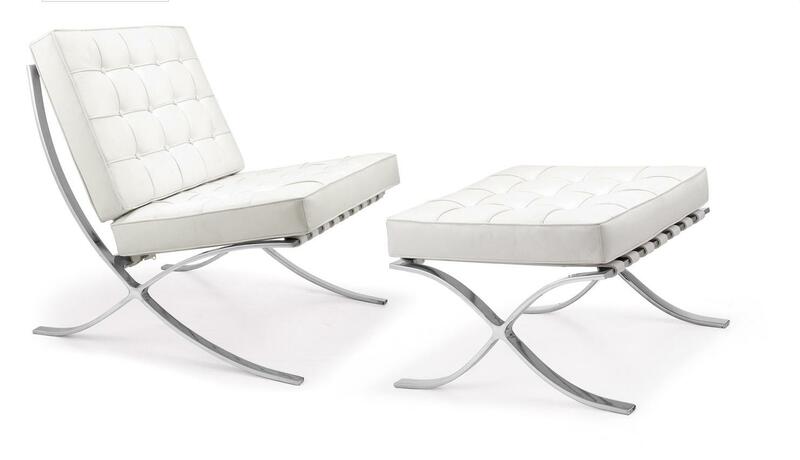 The Iconic Barcelona chair was designed in 1929 by Mies Van Der Rohe, a German architect who was a pioneer of modern architecture. The chair was influenced by ancient folding Roman chairs, and when it was presented at the International exposition in 1929, it was said that it was a "design worthy of Kings". In 1953, Knoll took over production of the chair, and it's popularity was resurrected. Despite it's simple architecture, much craftsmanship goes into the frame which is made from one piece of stainless steel. Today numerous replicas are made, but none hold the prestige of the original.